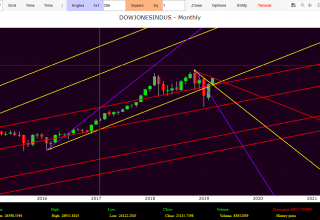 Euro Dollar Forecast 2019 long term technical analysis using W.D.Gann’s time cycles . 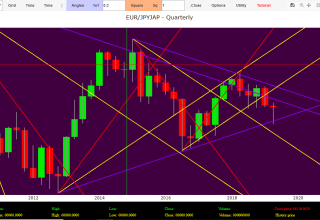 The time signal expired in 2014 (Range Square) restored a strong down trend in the European currency ,after a long lateral phase started in 2010. The violation of 1.27 level and the subsequent infringement of 1 X 2 angular support with origin in the 2000 minimum confirmed the 2014 Time Set Up which pushed the price dynamics to touch the next 1 X 4 angular support (color purple in slide) and 1 X 1 Zero angular support. In 2017 the Euro reached a bottom at 1.0339. 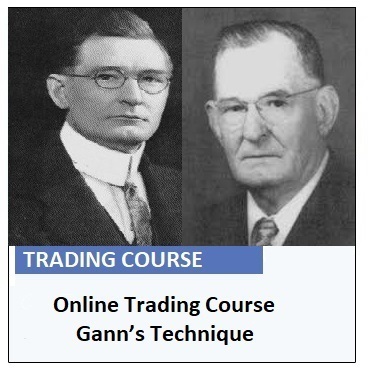 The resumption of a new bull-campaign was indicated by the Time Set Up expired in 2018. The single currency, breaking upwards the top of 2017 and reaching a maximum of 1.2555, has reversed in positive the long term prices trend. 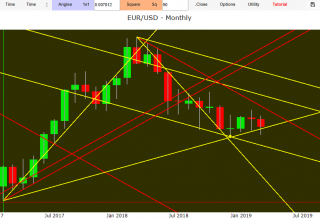 The fact that in recent months the European currency is closing the year in weakness further reinforces the bullish scenarios for the coming years. If the Euro will reach a level below 1.08 level in 2019 (price to be confirmed in early 2019) then a new competing force of investors would negate the 2018 signal and bring the Euro back into a new negative side stage . 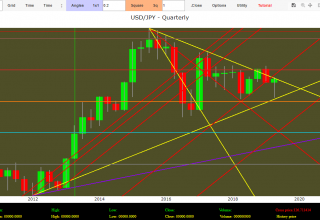 The 1 X 2 resistance corner descending from the maximum of the fourth quarter of 2009 has rejected the bullish acceleration of the first quarter of 2018. 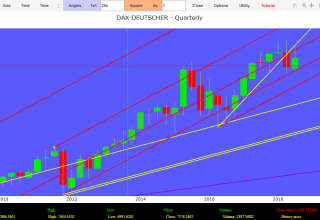 From a maximum of 1.2555 Euro continued the negative retracement in the second, third and fourth quarters, reaching the 1 X 1 ascending corner and still the 1 X 1 Zero corner shown in red on the slide. 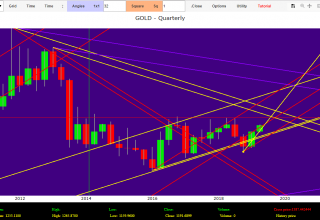 The first quarter of 2019 will show us the directionality of the European currency. We will update this report in the new year to indicate more precisely the level of positive inversion or possible continuation of the corrective directionality. 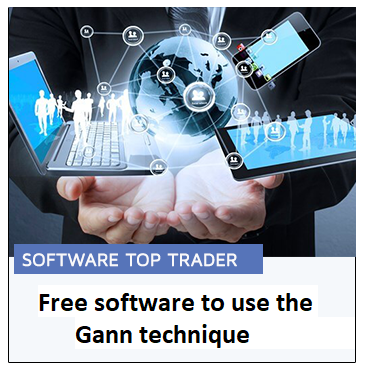 The report and ‘was made possible thanks to Stock Exchange free software Top Trader©.